An O.E.M. replacement unit for cooling hydrogen designed with bell end tubes, allowing for simplified replacement of individual tubes and reduced maintenance costs. 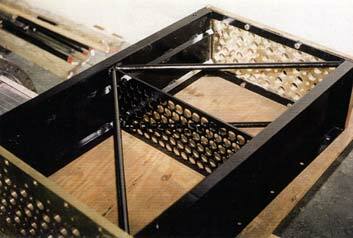 This floating tubesheet design was constructed of a carbon steel frame, naval brass tubesheets, stainless steel hardware and contained (99) 3/4" O.D. 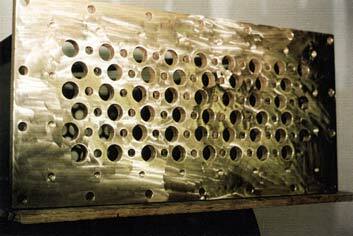 belled end CuNi tubes with copper edge tension would fins (8 fins per inch).